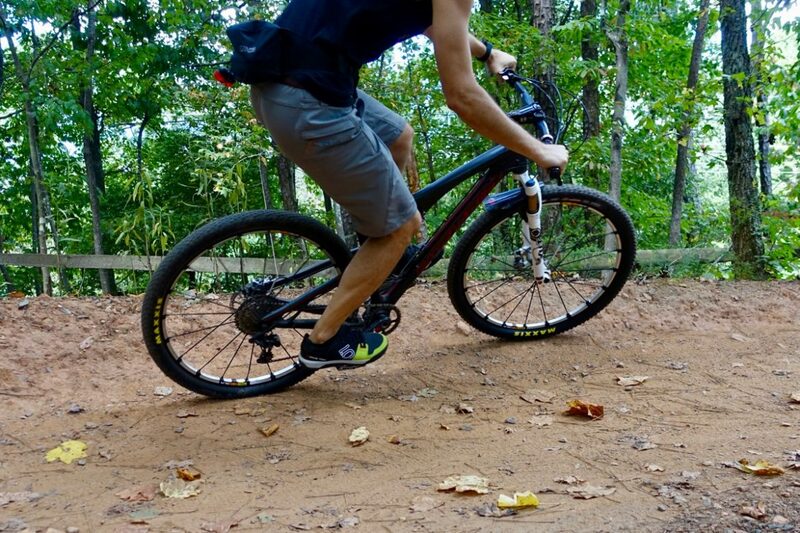 This summer Maxxis debuted a new XC race version of the popular Rekon trail tire. 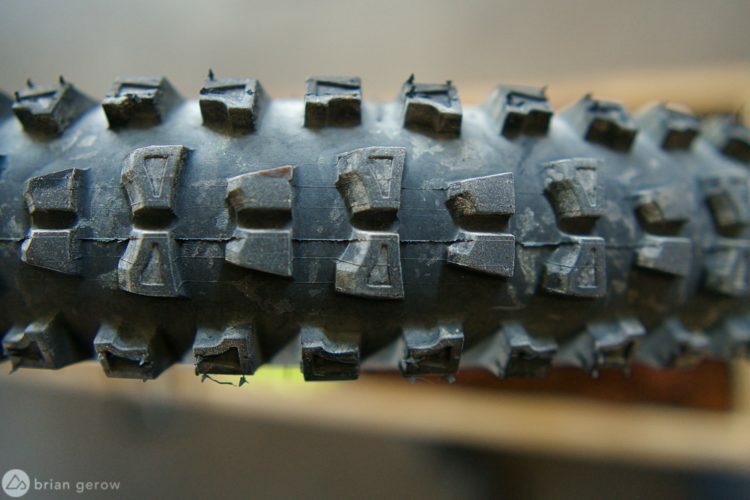 The Rekon Race features a somewhat similar tread pattern, but shaves a few millimeters off the height of the knobs. 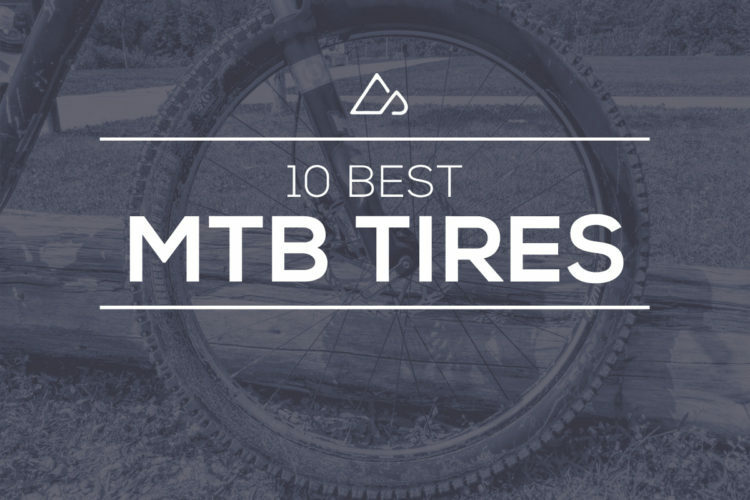 The result is a tire that rolls ridiculously fast — perfect for the race course. 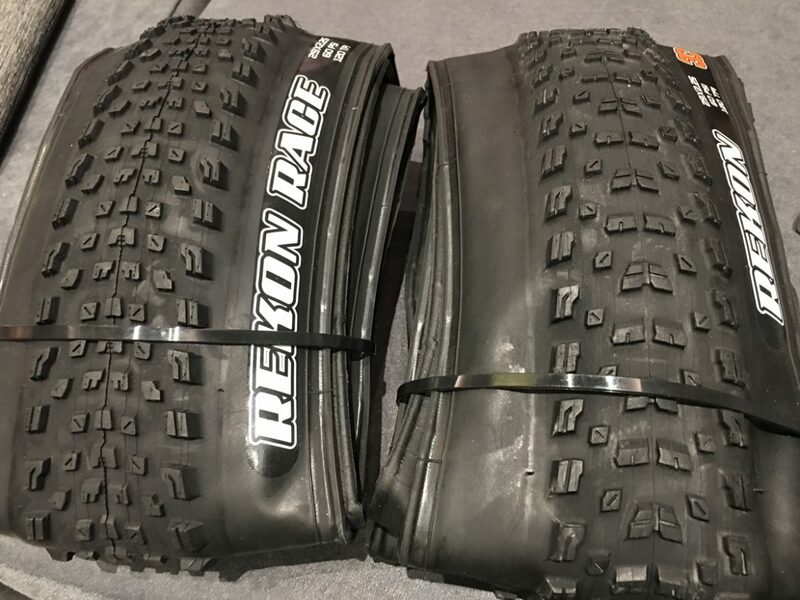 For now, Maxxis is only offering the Rekon Race in a 29×2.25″ size, and buyers can choose from the standard version or the EXO, which offers additional sidewall protection. 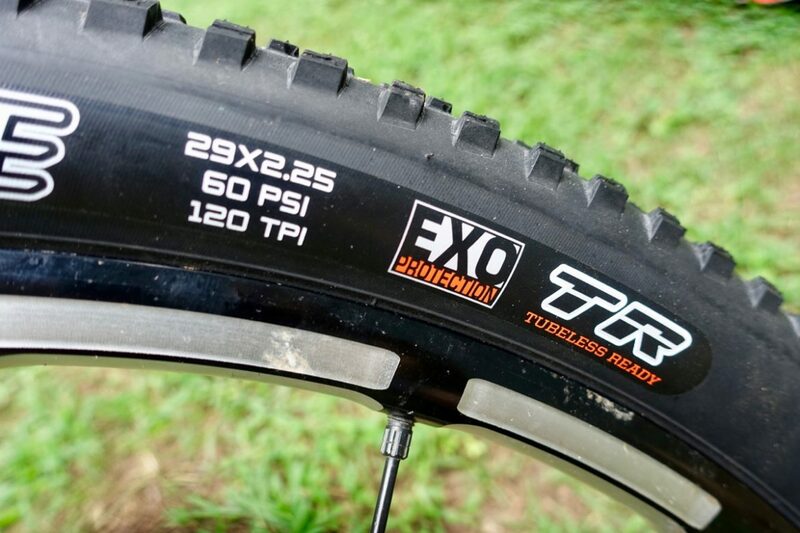 For most riders, EXO is a no-brainer, but elite riders might balk at even the slight weight penalty which is why Maxxis offers the tire without EXO. Still, it’s pretty impressive that EXO adds just 60g to the weight of the tire. Speaking of weight, these are some flyweight tires. The EXO version I tested weighs about 670g, and the non-EXO tire is said to weigh only 610g. 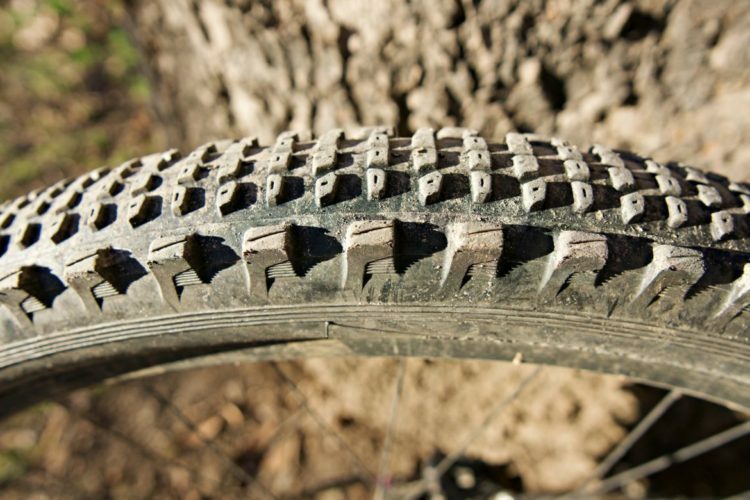 The Rekon Race is a dual-compound tire with supple (and lightweight) 120tpi sidewalls. Of course they’re tubeless-ready and I was even able to mount a Rekon Race tire using just a floor pump. Maxxis considers the Rekon Race to be a semi-slick tire, meaning the center knobs are short while the side, cornering knobs are much taller. 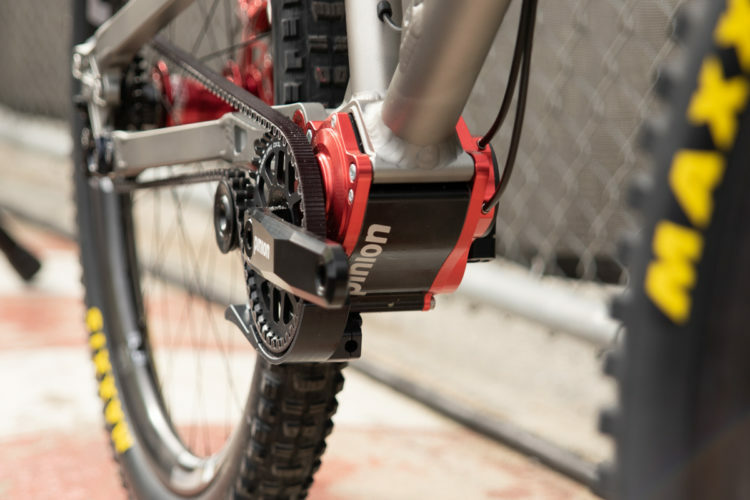 This allows the tire to dig into corners while offering low rolling resistance on the straights. Compared to the Rekon, the knobs on the Rekon Race are shorter AND smaller. 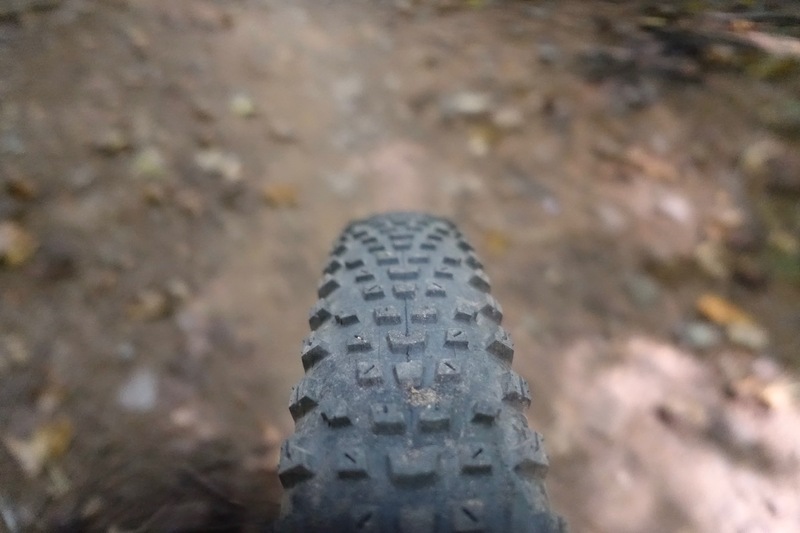 Looking at other tires in the Maxxis lineup, the Rekon Race side knobs are roughly the same height as those found on the Aspen and Ikon XC tires. However, the center knobs on the Rekon Race are the shortest of the three, with the Ikons offering the tallest center knobs. 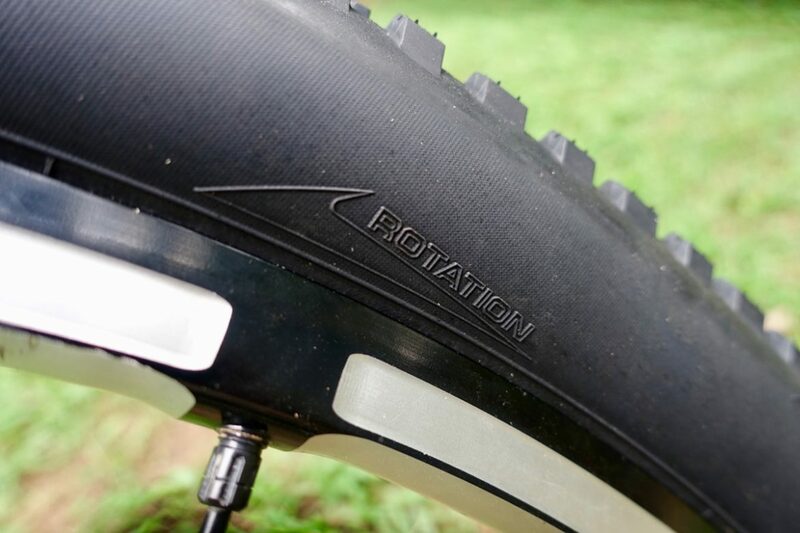 The Rekon Race is a directional tire, and Maxxis makes it easy to orient the tires the right way at a glance. 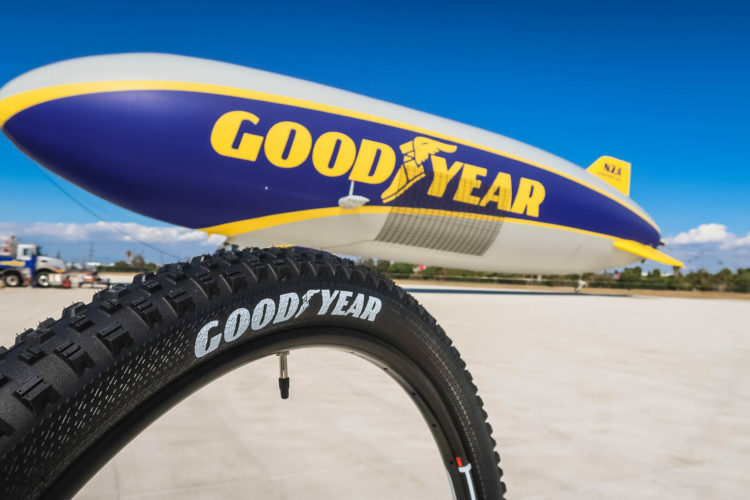 Just make sure the name of the tire is showing on the drive side (you know, for photo ops), and you’ll be dialed. There’s also an arrow with the word “rotation” stamped on the tire, though for some reason I often have a hard time finding the stamp when I’m mounting a new tire. 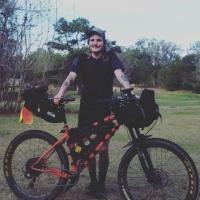 Most mountain bikers will want to run the Rekon Race as a rear tire, pairing it with a tire with a bit more bite up front. 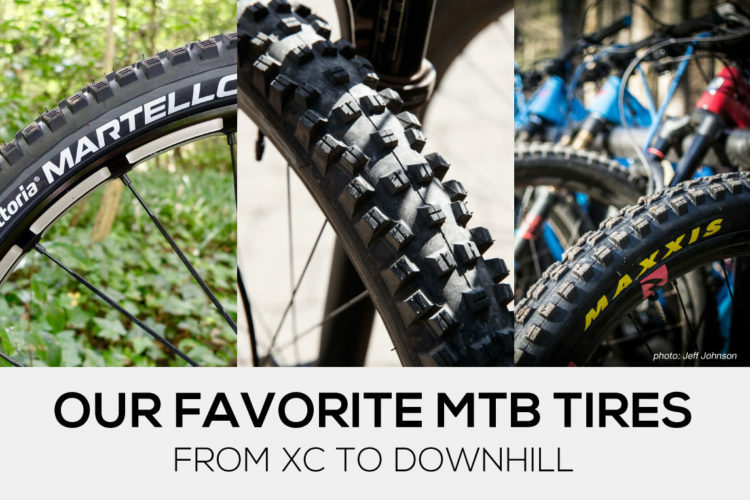 Of course the “regular” Rekon is a good choice, and that’s one of the tires I’ve been riding up front in my tests. 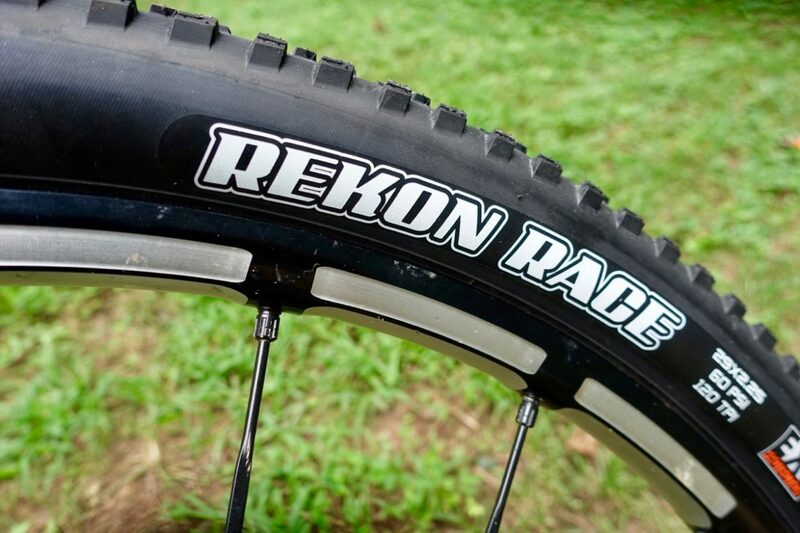 A few riders might choose to run the Rekon Race tires both front and rear, but only for very specific situations like short track racing. Other good front tire choices to pair with the Rekon Race include the Maxxis Aspen or Ikon. 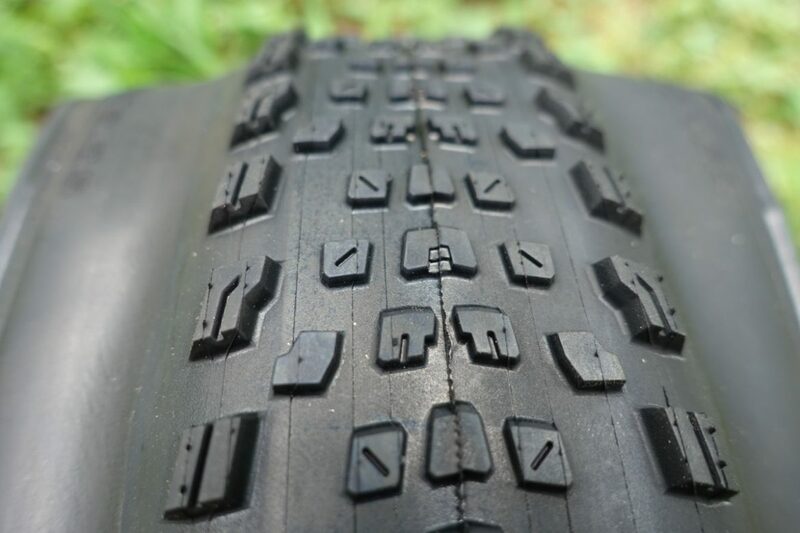 I’ve tested the Rekon Race tire (rear only) in a number of conditions, and not surprisingly, it’s a fast tire. It’s quiet and there’s virtually zero drag, even on the pavement where that kind of thing is noticeable. 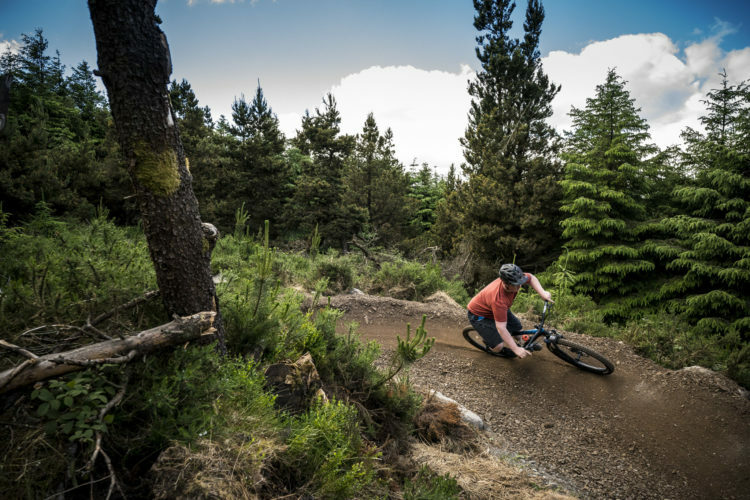 Hardpack conditions seem to be where the Rekon Race shines the brightest, and it has no problem getting up and over dry rocks and roots. I found the Rekon Race tire to corner extremely well. The side knobs are real berm biters, and transitioning from the center knobs is predictable and smooth. In damp conditions, I did struggle a bit, especially with slippery roots. A lot of this comes down to technique, but it’s hard to get around the fact that the center knobs just aren’t very tall. In loose conditions, the tire struggles a bit as well since it lacks tall knobs to penetrate down into terra firma. To be fair, no one ever said this was a tire for all conditions. 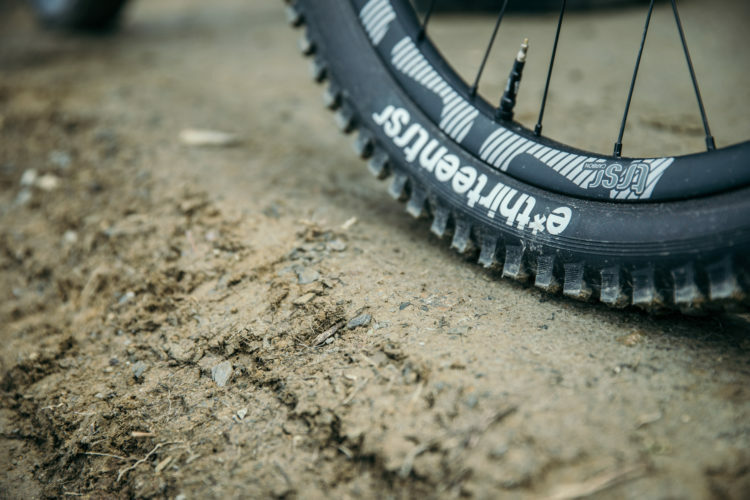 Clearly the Rekon Race is designed to excel in fast race conditions, as shown by Nino Shurter who won the 2017 Mont Sainte Anne World Cup on these very tires. The EXO version of the Rekon Race retails for $64 USD while the standard version sells for $60 USD. 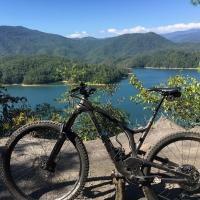 Thanks to Maxxis for providing the Rekon Race and Rekon tire for review. I’ve been eager to check these out! They look insanely fast! Good article Jeff. I will definitely consider when I look to replace my rear tire for next years race season.